(Updated) Endorphin turned to the dark side in the week leading up to Superbooth while teasing the BLCK_NOIR. The only clue was that it was useful for Darkwave and Techno. 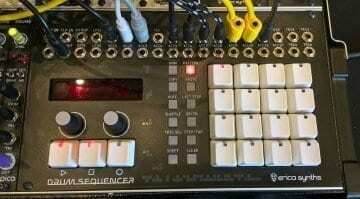 Now we know it’s a banging 7 channel drum synthesizer which looks very interesting indeed. It’s 30hp wide but that’s only about 4hp per drum voice. It has 7 drum voices: bass, snare, tambourine closed and open hi-hat, cymbal and metal bar. 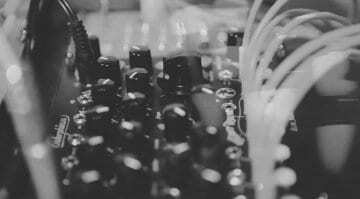 The sounds are synthesized using “digital noise with spectrum animation injected into analog circuits.” The generation is discrete analog using indictor coils instead of op-amps. They say it was inspired by the Roland CR-78. 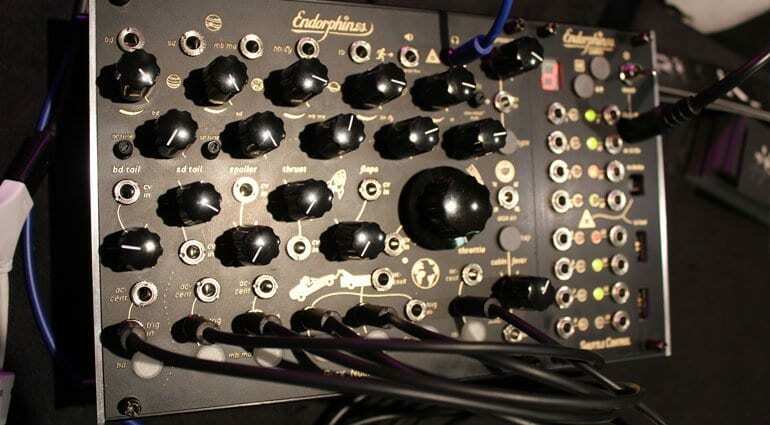 An onboard effects processor is directly from their Grand Central module offers 8 effects: hall, shimmer, room, plate, spring reverb, tap and tape delay and a freezer/looper. You can also use these with an external audio input. 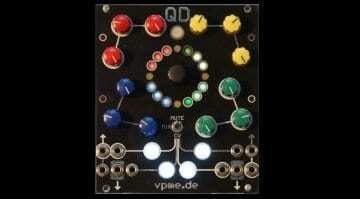 The 5 outputs can be routed directly to the effects bus via 5 send knobs. Endorphin suggests that the drums “have character” and would fit all styles of music, particularly our friends Darkwave and Techno. We can see from the images that the snare, bass and tambourine have their own outputs whereas the cymbals, metal bar and hi-hats share giving 5 outputs in total. When an individual output is active then it no longer appears at the mix output. 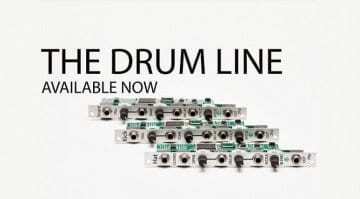 Tuning and decay are available on the snare and bass. There are CV controllable accent and several other Endorphin style controls where I couldn’t really confirm their function. I wonder what the big “Throttle” knob does? Apparently, “Thrust” is the cut-off for the filter and “Flaps” is the resonance. “Throttle” alters the sound of the noise from noisy to more metallic. Along the bottom are the 7 individual trigger inputs. These also have buttons that you can use to trigger the sound, or, if the trigger input is active then it becomes a momentary mute button – very nice! This is turning out to be the star of the show so far! The release should be July and will cost around €500-600.